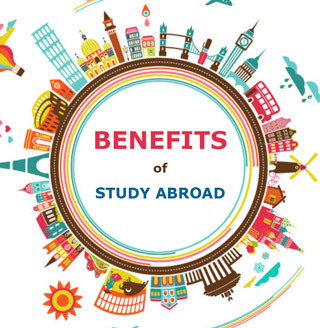 Studying abroad can be one of the most beneficial experiences for a student. By studying abroad, students have the opportunity to study in a foreign nation and enjoy the appeal and culture of a new land. It may be a high priority for some, and for others it is a real challenge. Like everything else, it has many advantages and many disadvantages too. However, the value of the advantages of the student studying abroad and the reflected academic, cultural, educational and career development cannot in any way be compared to some of the negative aspects that can be exposed to it, which often have effective solutions. Proficiency in at least one other language helps to broaden one's communication skills and opens up new professional opportunities. However, becoming completely bilingual requires a fairly long daily practice. So there is nothing easier to learn and practice a foreign language than to stay in the country where it is used daily. Indeed, by being in constant contact with it, the student can easily increase his knowledge, discover his wealth and appropriate his subtleties. Living in a foreign country and sharing the daily life of the inhabitants will inevitably confront the student with cultural shocks. He will have to adapt to a different way of life and another way of thinking. He will thus be able to acquire new references that will allow him to compare and analyze what exists in his host country and in his country of origin, and he will learn to relativize. Discovering another culture also enriches the student by developing his human qualities, including tolerance, openness to others and to the world. Attending courses in a foreign university or university offers the opportunity to discover other approaches to treating a discipline. The student will have the opportunity, during his course, to tame other methods of work and to experiment new practices that will integrate with his previous knowledge to create a new and more diversified knowledge. This will be a significant asset for employment in services and in high-tech sectors such as new technologies. To succeed and enjoy your studies abroad, it is essential to know how to cope in all circumstances. Finding accommodation, for example, even with the help of a university organization, is not easy because habits and practices are sometimes very different. The student will also learn to manage his budget, to maintain his clothes, to plan his meals ... In short, to take care of himself alone. Gaining this autonomy will allow him to push his limits, overcome difficulties and gain confidence. The mention on his CV of a curriculum abroad attracts the attention of recruiters. Indeed, it emphasizes the ability of the person to handle perfectly a foreign language, to adapt, to have an open mind and a sense of responsibility. In the context of today's globalization, if this training has been sanctioned by a diploma, this profile will be all the more appreciated by multinational firms. In conclusion, studying abroad is an enriching and invaluable experience that allows the student to develop a new way of being and a new know-how. At once richer both humanly and intellectually, he will be able to apprehend the future with fresh eyes.